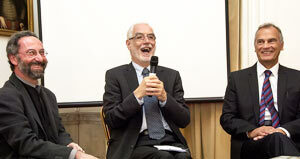 Wolf-Dieter Seiffert (G. Henle Publishers), Péter Halász (Translator) and Malcolm Gillies (Member of the editorial board of the Bartók Complete Edition). 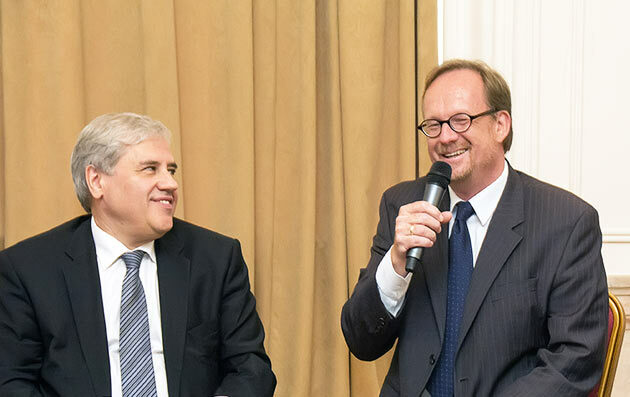 On 25 September Wolf-Dieter Seiffert and Antal Boronkay signed the cooperation treaty of both publishers. 26 September 2015 was the 70th anniversary of Béla Bartók’s death. At the same time it was an important day for Bartók research. 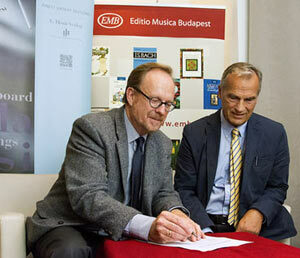 In Budapest the Critical Complete Edition of Béla Bartók’s works was announced. 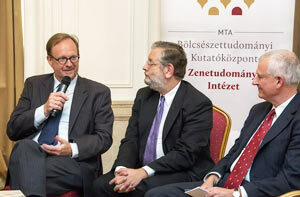 The press conference in Budapest was accompanied by lectures, a commemoration ceremony at the composer’s grave, as well as concerts. The editorial responsibility lies with the Bartók Archives of the Hungarian Academy of Sciences in Budapest. This major scholarly project will be issued by G. Henle Publishers together with Editio Musica Budapest. The first of the volumes will appear as early as next year. It will contain “For Children” for piano solo, both the early version and the revised version. Annette Oppermann is the editor in charge of the Bartók project at G. Henle Publishers, whose catalogue will now contain four complete editions, the others being those of Beethoven, Brahms and Haydn. A phenomenal workload for a phenomenal compositional œuvre has been launched!